Exclusively an Adult retreat. All guests must be aged 18 or over. Clubyamba offers a unique concept in Yamba as it caters exclusively for adults, with comfortable facilities and the friendly personal service that only a small property can provide. To maintain our quiet and peaceful ambiance, please note that ALL GUESTS MUST BE AGED 18 YEARS OR OVER. 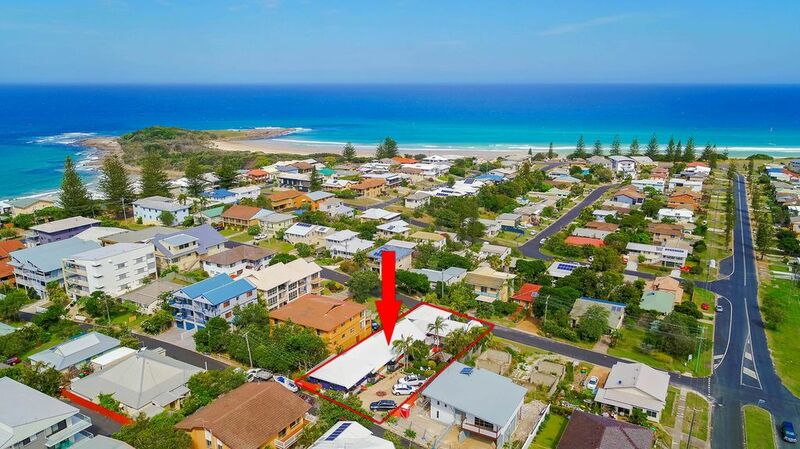 Clubyamba has 7 beautifully appointed 1 and 2 bedroom Villas tucked away on Yamba Hill, with coastal views to the hinterland and south to Angourie Point. The ideal couples beach getaway or the perfect place to be shared with friends. The Pacific Suite is a romantic upstairs 1 bedroom couples retreat with coastal views from front balcony, outdoor two person spa on back deck and well-equipped kitchen. Bathrobes and quality linen. The Panorama Suite is a spacious 1 bedroom self-contained apartment with coastal, hinterland, spa and garden views from 3 outdoor areas. Villas 1, 2, 3 and 4 are self-contained with either coastal or garden views. An optional 2nd bedroom is available at an additional $70pn. Courtyard Villa 6 is a 1 bedroom Villa offering a peaceful "home away from home" feel. Great for a one night stopover or beach holiday. Note: NO ON-SITE PARKING FOR THIS VILLA. Safe parking for this villa is on Church St in front of the villa. FOR YOUR ADDED SECURITY, CLUBYAMBA HOLIDAY ACCOMMODATION IS MANAGED IN AUSTRALIA AND WE NEVER REQUEST PAYMENTS BE MADE TO OVERSEAS BANK ACCOUNTS. Whether you're on holidays, grabbing a quick getaway or just day tripping, take the time to relax, explore and enjoy ... beaches and boating, famous seafood and gourmet cafes, golf, bowls, tennis, sailing, surfing or fishing, coastal walking trails, galleries and markets. Yamba is a hidden gem on the coast of Northern NSW in the vibrant Northern Rivers district, just 14kms off the Pacific Highway. You will discover unspoilt breathtaking beaches, the majestic Clarence River and enjoy the delightful village atmosphere. Clubyamba offers a range of accommodation options to suit all. Rates are based on two adults sharing one Queen bedroom. SORRY NO CHILDREN ... Clubyamba is a place for adults to rest, relax and revive, and enjoy a peaceful break away. - Laundry on site - Free use of washing machines, dryer and soap powder provided. - Completely insect and security screened. - NOTE: Parking on Church St in front of Villa 6. On-site parking not guaranteed. Yamba Northern New South Wales is situated in what is known as Big River Country. Perched at the mouth of The Mighty Clarence River, Yamba is famous for its wonderful seafood and its incredible white beaches which have attracted many generations of famous surfers. Great fishing and swimming are safely enjoyed by locals and visitors as they marvel at the amazing surrounding coastal scenery. Yamba is located 300 kilometres South of Brisbane, 680 Kilometres North of Sydney and halfway between Byron Bay and Coffs Harbour. It is a charming unspoilt fishing village situated where the Clarence River pours into the Blue Pacific Ocean on the Eastern Australian Coast. - Recreational Sports Clubs allowing enjoyable Golf, Bowls, Tennis, Squash and Kayaking. location was fantastic, so peaceful and very private. only negative house keeping!! we think being 10 days should have at least a mini clean done.Internet was a issue, just don't rely on it, was impossible to connect. A very pleasant stay. Managers are very accomodating and the accomodation is clean and well maintained. Yamba is a popular holiday location, situated on the Clarence River in northern NSW. It retains a friendly village feel and is an ideal location to rest, relax and revive! Clubyamba is situation centrally between the beach and the town, tucked away in a quiet spot on Yamba Hill.